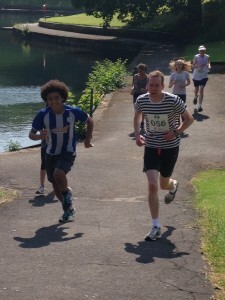 Sheffield 5k Fun Run Weston Park and Crookes Valley Park – Saturday 12 May 2018. Click on the above links for further details and to register online. The courses are along footpaths and are suitable for wheelchairs and pushchairs. If preferred, participants can run on the grass alongside most of the paths. Who Participates? The short answer is everyone! We have serious runners who are training for other events; we have family groups who race between themselves; we have parents with buggies; we have dog-walkers. Some run, others stroll. If we want to help more communities this year, your participation in the event is crucial and raising sponsorship is vital.